The following is the language of the Original 13th Amendment as ratified December 9th of 1812 . . and printed in law books for more than 65 years . . yet some retards claim all these printings by various State Governments were a mistake . . lol . . REALLY? Another publication put out by “The United States of America” which proves that the Original 13th Amendment was fully ratified is the “1825 Military Laws of the United States” See page 16 of this downloadable Google Book. 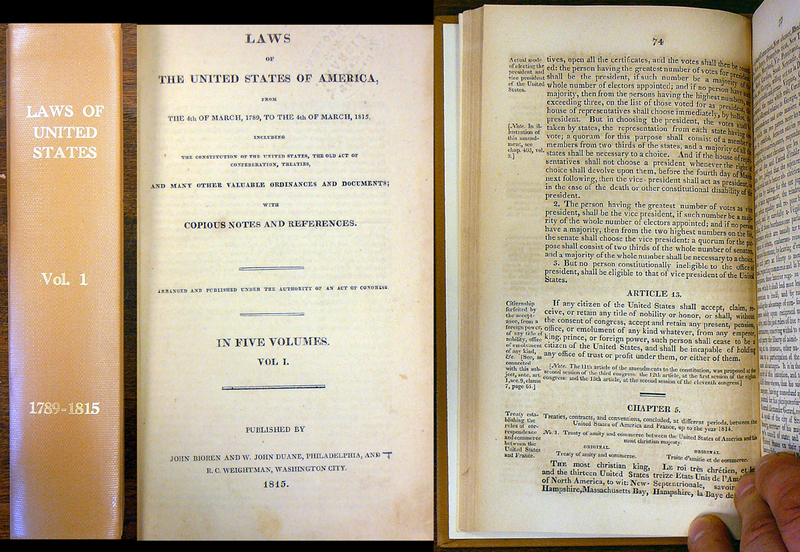 Follow the links below to see the overabundance of Law Books on Google that were printed with this amendment intact for over 65 years. The following PDF’s are of the Certified Copies I did receive of the books pictured above, Certified at the Connecticut Repository across the hall from the Connecticut Supreme Court.